I make continual resolves to actually write more book reviews. I talk about books a lot and mean to write a lot of reviews but frequently I move on to the next book and the review never gets written. Here are a few miscellaneous thoughts about what I have been reading lately. The Birthday Boys* was my first book by Beryl Bainbridge. I have heard of her books before but have never come across one. This book about Scott's trip to the south pole is divided into five sections. Each section is told from a different viewpoint. It is left up to the reader to mesh the differing perspectives into a complete story. At first, I did not feel particularly involved in the story or in the characters. It felt a bit as if you had been dumped into the middle of a story and had to feel your way to the beginning. As the book went on I did become invested in the characters even though I knew how the book would end since it was based on real life events. This is not a piece of history that has particularly caught my interest before but since I read this I find myself thinking about the men and what they went through. I have looked up a bit more information on them. The circumstances and conditions they put up with in order to take this journey were equal parts horrifying and impressive. 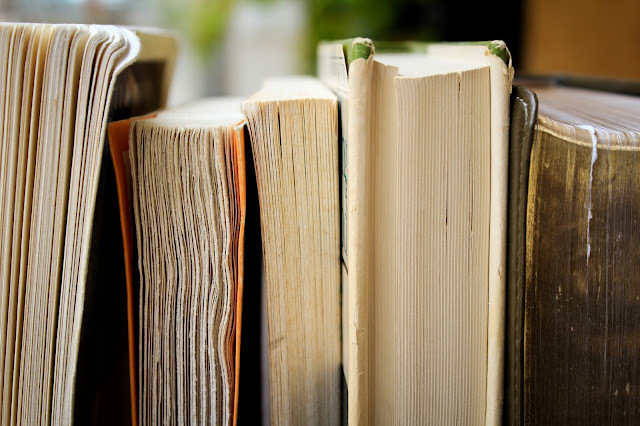 An author who can write a book that sticks with you in this way and causes you to still think about the story long after you finished the book is a good author. I think I will be reading more of her books. I was very excited to read Crosstalk* by Connie Willis. I love her book To Say Nothing of the Dog and also thought The Doomsday Book was very well done. I enjoyed Blackout and All Clear even though I thought they could use a bit more editing. I felt the same way about Crosstalk. It contained Willis' trademark frenetic pace and charming characters but the story could have been told in half the pages. Briddey has surgery that will allow her to sense her boyfriend, Trent's, emotions. However, something goes wrong and she is actually able to hear other people's thoughts. She is overwhelmed by the experience and rescued by C.B., the obligatory nerd potential love interest. They spend a lot of time running around avoiding Trent for various reasons and trying to figure out what caused the telepathy. Obviously, someone is trying to benefit from it and I am pretty sure you can guess that someone is Trent. The book sucked me in and I found it charming, but charming on a surface level. Willis can and has done much better. My favorite part was when Briddey and C.B. take refuge in a library because books absorb people so much that their inner voices quiet down and are not so overwhelming. A library as a refuge is lovely on so many levels. The book did have many references to modern technology and communication, Iphones, tablets, Twitter, etc, which may possibly prevent the book from aging well. My end feeling was that this would have made a fantastic short story or novella but that there just was not enough there for a full-length novel. I found this book in my attic when I was looking for something else. I have no recollection of buying it or ever reading it. Do you think my attic is magically spawning books now? What a wonderful thought. I probably bought it for the cover. It is so of its time. Jennifer Morton is suffering through the post-war years in London. She feels like life isn't offering her much and that everything is grey and depressing. Then she inherits some money, takes a trip to Australia, and, of course, falls in love. There are obstacles and life changes and uncertainties but all ends well. I enjoyed the portrayal of post-war London. It was not an easy world to live in. I also have read very few books set in Australia and actually know little about the country and it's settlement beyond the obvious. 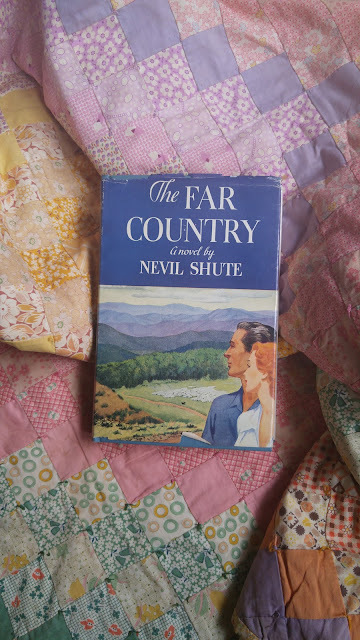 It looks like many of Shute's books are set in Australia. I read a review of A Town Like Alice recently but my library doesn't have a copy. It did have a few of his other books and I grabbed one. I can't remember the title right now and since it is upstairs and I am downstairs I think you will just have to live with that uncertainty for now. Not quite so easy to understand was the objection to the teachers having any interests outside their work. Now it is obvious that no teacher, and no parent, can inspire children if he thinks too much about them; he must have some wider outside interest about which they must be left guessing. I love this quote and completely agree with it. In fact, I could, and probably will, write an entire post based around it. You have been warned. I also liked her description of what she says the French call "staircase wit" or what you wish you had said as you go downstairs afterward. That sums up me and my life right there. So there you have it, a few of the many books I have been reading lately. What have you read? I am always looking for new books in case my magical attic fails me. I just bought a copy of Crosstalk yesterday. The reviews I've read have definitely been mixed, but I couldn't resist a new Connie Willis novel. What country is I think one of my favorite of Nevil Shute's books. A Town Like Alice will always be the first, but this one comes close. And it makes me want to book a flight to Australia! I felt the same way. I love so many of her novels. Crosstalk is fun but it didn't amaze me. I don't think I will ever reread it, which is how I frequently judge a book, but I don't regret having read it. Mine has the bad insulation too. I am feeling slightly motivated to clean the attic out in the hopes of finding more books I forgot about. The attic in my old house did the opposite. I once went in there to get out my copy of Gaudy Night - my overflow books were stored there - I threw the book up towards the attic doorway, and I never saw it again! At least your attic has the good sense to steal good books. I hope you replaced your copy of Gaudy Night.